When I go on photo trips to cities, large and small, I always look up toward the top of buildings. In many instances I find something unique which might make a nice photo. 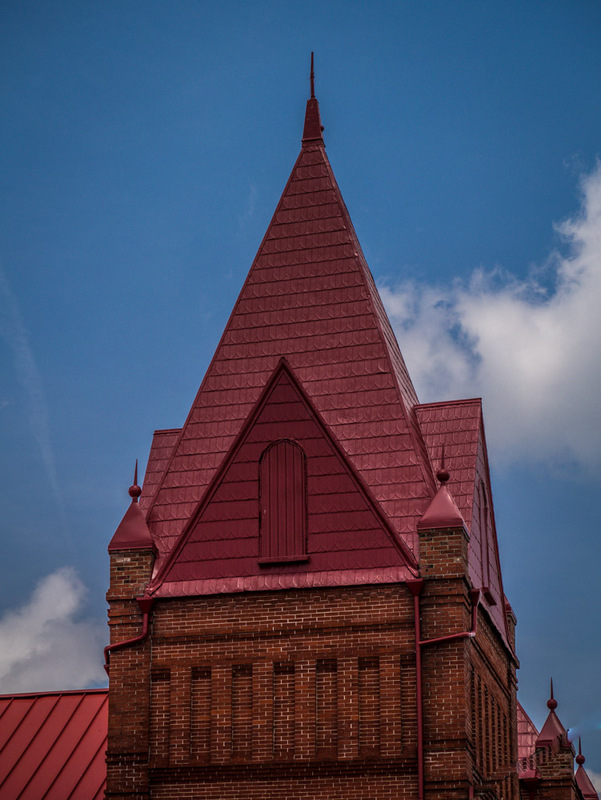 In the first image here, it was the bright red peaked metal roof which caught my attention, and in the second (which was taken using a telephoto lens) it was the “look” of the cupola with the wind vane on top that I liked. 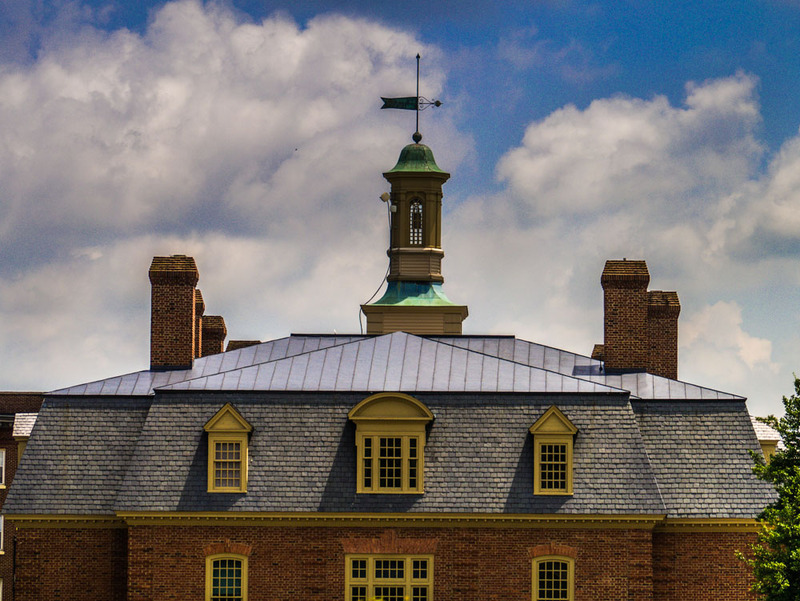 An important lesson which took me a long time to apply without much though before hand, is to always “look on top” of buildings which you see…to quote Forrest Gump, “You never know what you will get.” PS: These buildings are in downtown Danville, VA.